A critical component of corrosion mitigation, cathodic protection is an electrochemical process to control the corrosion of a metal surface by transferring the corrosion from the protected structure to a more easily corroded metal. The only program of its kind and an industry standard, NACE Cathodic Protection Program provides students with the theoretical and practical fundamentals for testing, evaluating, and designing both galvanic and impressed current cathodic protection systems. As the most recognized and specified program in the world, this complete body of coursework features classroom study, discussion, and hands-on field practice, making it ideal for field personnel, engineers, project managers, and technical salesmen. 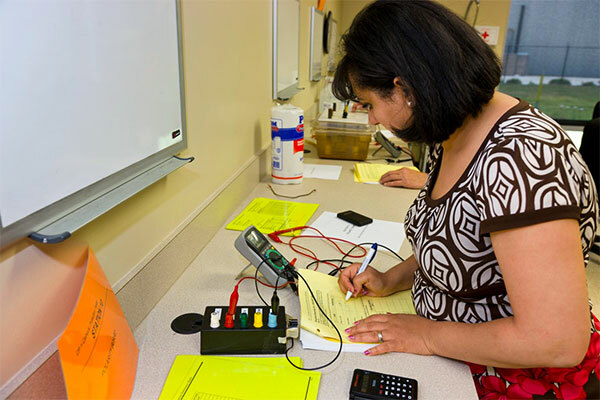 This course provides both theoretical knowledge and practical techniques for testing and evaluating data to determine the effectiveness of both galvanic and impressed current CP systems and to gather design data. This course presents cathodic protection technology with specific shipboard cathodic protection information. This course builds on the technology presented in the CP2 course with a strong focus on interpretation of CP data, trouble shooting and migration of problems that arise in both galvanic and impressed current systems, including design calculations for these systems. This course focuses on the principles and procedures for CP design on a variety of structures for both galvanic and impressed current systems. This course focuses on the control of metallic corrosion by protective coatings and cathodic protection, with coatings as the primary method of control supplemented by cathodic protection. The Cathodic Protection Interference course focuses on AC, DC, and telluric interference.